Almost 10 years ago, on 26th June 2009, UNESCO named the Dolomite mountains a World Heritage Site. 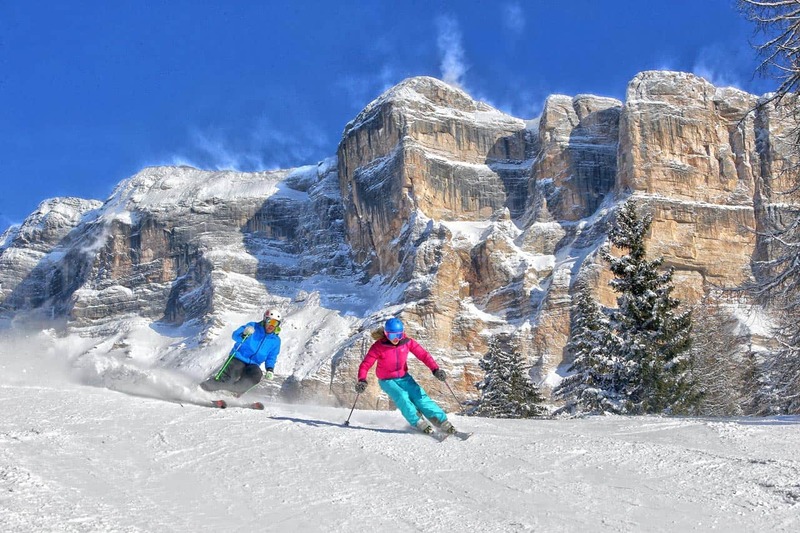 Alta Badia’s ski area winds its way through two of the Natural Parks belonging to the UNESCO site: the Fanes-Senes-Braies Natural Park and the Puez-Odle Natural Park, both famous for the beauty of their authentic and unparalleled landscapes. Alta Badia offers three skiing routes that allow you to discover these protected sites first-hand. These routes can be reached through the connections at Piz La Villa, Piz Sorega and Col Alto. Lagazuoi, skiing amid nature and history, 100 years after the end of the First World War. Taxis leave from the Armentarola to the Falzarego Pass and from here, you can take the cable car to Lagazuoi, 2.778 m above sea level, inside the Fanes-Senes-Braies Natural Park. This is clear through the trenches and tunnels that can still be seen from the side of the slopes. This medium-difficulty slope, 7.8 km long and with a 1,130 m difference in altitude, follows the ravines down to the Scotoni mountain hut, and then down to the bottom of the valley. From here, you can take the most interesting and environmentally-friendly ski lift in the Alps, transporting skiers to Alta Badia’s ski circuit. In fact, a pair of Noriker horses await skiers, pulling them along to the next cable car station. The La Crusc Ski Tour area allows you to enjoy the breathtaking view over Badia’s rural landscape and the surrounding mountain peaks of the Puez-Fanes Natural Park. The mountain huts dotted around the La Crusc ski area are specialised in preparing typical Ladin dishes – just like grandma used to make. 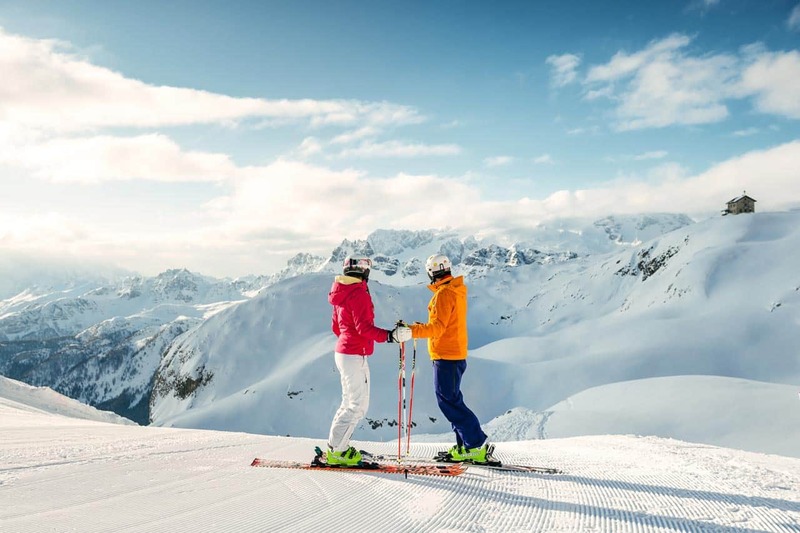 The La Crusc ski tour can be reached from Piz La Villa (without even having to take your skis off) and is particularly well-suited to family excursions. The Edelweiss Valley ski route, starting from the centre of Colfosco, is one of the most hidden away and ‘insider’ locations in Alta Badia. This small valley at the foot of the Sassongher and Cir mountains in the Puez-Odle Natural Park is mainly appreciated for its wide and sun-kissed slopes and for its panoramic views over the Sella group in the Dolomites, and the Mezdì Valley in particular.